Xela Bosque, Guatemala – Hilda del Pilar Chojolan is a widow with two children. Her husband died seven years ago from the effects of alcoholism. Despite his alcohol problem, her husband always covered the household expenses and Hilda was devoted to raising her children. 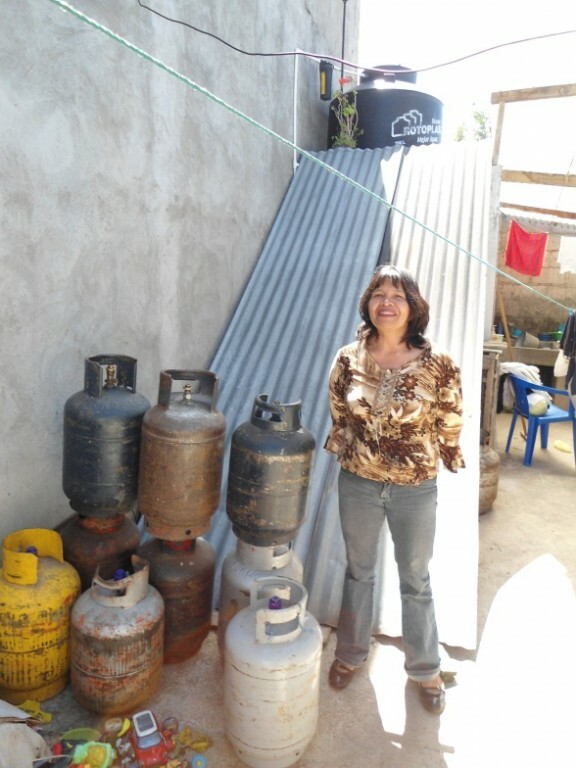 After her husband’s death, Hilda started a business selling propane gas tanks in a small rented space. The business did not produced enough income to pay the rental of the space. Hilda was forced to move the business into her house. The youngest son is a good student and likes to help to distribute the propane gas tanks on his bicycle to the various clients. Early in 2012, Hilda was referred to Lifting Generations by her Branch President. He worried about Hilda’s financial situation. She was depressed and she did not know how to improve her business in order to generate more income. She was making $120 and had no savings. Lifting Generations trained her in the Business Improvement Workshop, she was very motivated to participate. During the the workshop Hilda changed her attitude, and started to practice everything she learned. Her business began to grow as she found new customers through promotion, business cards, identification of new suppliers of propane gas and keeping good accounting records. With much happiness Hilda tells us that she has recently opened a savings account, something that was impossible in the past. She has become a happy person. Designed By Natalee Champlin| © 2017 Lifting Generations. All Rights Reserved. Lifting Generations is a 501(c)(3) non-profit organization based in Sandy, Utah. All donations in the United States are tax-deductible in full or part.